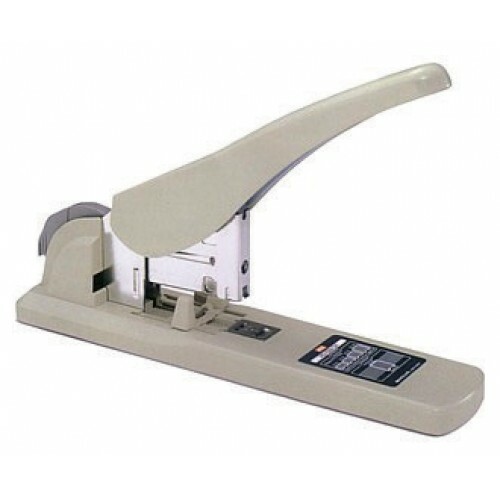 All metal short reach putty coloured stapler. 250 sheet capacity with anti-jam mechanism. 20 to 250 sheet capacity. Large handle for easy operation. Uses MAX 1200Fa-H Hardened staples. 10mm, 13mm, 17mm, 20mm & 24mm staples.